There is a gap between what C-suite and Executives understand and feel about Digital Transformation. Bridging the gap does not require any grand upskilling investment, but rather a focus on listening and communicating. When leaders and managers are able to really understand and address the concerns of the people they lead, they create an environment where people feel safe to contribute to the transformation effort. In 2018, SMU published Cultural Transformation in the Digital World, a research report on how APAC organisations are dealing with Digital Transformation, and the challenges, opportunities, and issues they face. Surveying both senior leadership and lower-level leadership and executives gave the study rare insight on the realities faced by leaders and teams dealing with digital transformation today. The report surveyed 48 C-suite leaders across corporate functions and industry sectors in the APAC region and close to 500 mid- and senior level executives across industry sectors. The executives interviewed were tasked with implementation of digital transformation or affected by it, but not directly involved in strategy. Some findings surfaced perception gaps on digital transformation between leadership and those under their care. The study revealed a mismatch between what C-suite and Executives understand and feel about digital transformation and sheds light on the difficulty of getting an organisation on the same page. These gaps need to be addressed by C-suite leaders—but not without first understanding the reasons behind the differing perspectives. 100% of C-Suite leaders believe emphatically that Digital Transformation is necessary for their future survival, while executives have mixed opinions about the value of digitalisation to their organisations. 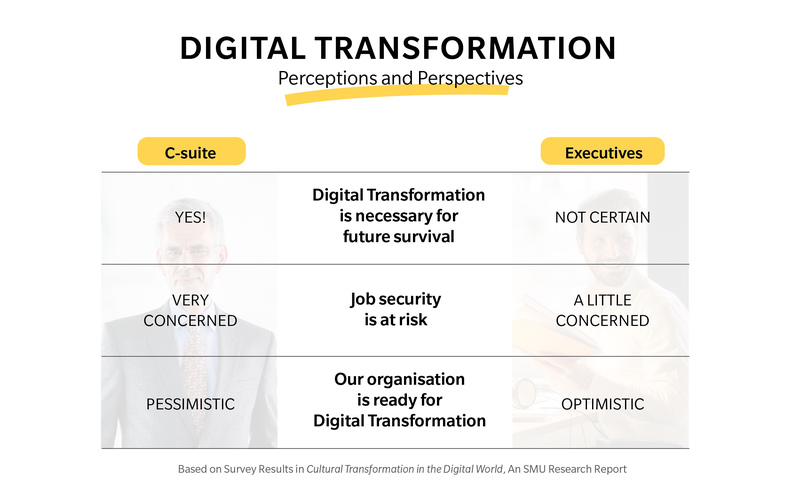 25% of C-Suite felt that employees would resist Digital Transformation because of job insecurity, while only 17% of executives were concerned that their jobs could be at risk because of digitalisation. 75% of C-suite believe that their organisations were less than half-way towards being ready for Digital Transformation. Among employees, 77% were confident that they were ready for it. The way forward is no longer a clearly defined path, but rather potential avenues of exploration. Consequently, the messaging can tend to be vague and general and focus on possibilities rather than definite goals. As a result, staff may not be able to understand how the changes are relevant to their specific context and so may not fully understand their significance. C-suite leaders are closer to the change strategy and have access to a larger context and high-level viewpoint. They also hold more key information than executives, giving them a more realistic assessment of the state of the organisation, the need for change, and the potential impact of digital transformation and disruption. The point of view of the staff is based on what information is available to them, how much of reality is communicated to them by those with a more comprehensive view. Staff may be shielded from the realities of digital transformation because of leadership’s political correctness. Leaders may hesitate in communicating certain realities in the hopes of not alarming the staff unnecessarily. Leaders struggle to find a balance between presenting the market realities and causing the staff to be fearful. This may be especially so when there is uncertainty about the specific direction that the organisation should be taking. Not communicating the clear realities may have severe consequences. 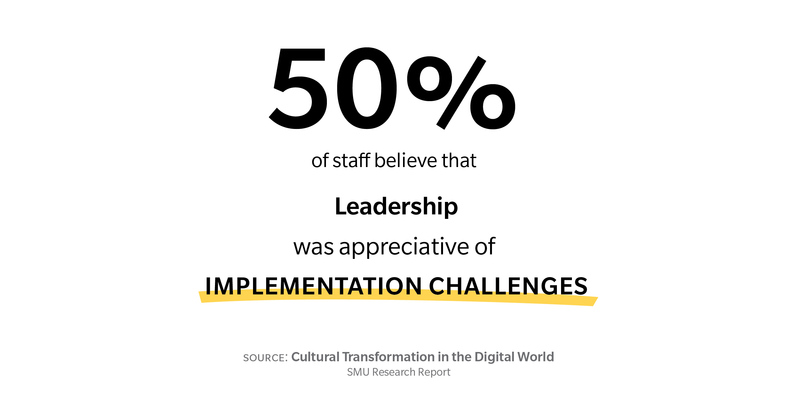 When the value of digital transformation is not clearly communicated or appreciated, staff may have a lower sense of urgency. With a wrong perception of reality, they are not likely to move forward or prepare as needed. Learn more about why change initiatives fail. Bridging the gap is a leadership responsibility. The leader is responsible for recognising and communicating reality, bringing clarity, and aligning the organisation’s perspectives on change and transition. The issues behind the gap are not strategic nor technical in nature. Closing the gap does not require any grand upskilling programme, but rather a focus on listening and communicating. These issues are addressed by leadership that is relational. Leaders must make sure that reality is understood but also provide the assurance that people will not be left behind. Leaders need to be upfront that it is a process of trial and error. Be sincere and vulnerable to lead the way for honest conversation. It is essential to discover and understand others’ realities in the digital transformation process. This involves listening empathically to the whole person – what the person is saying and not saying. Appreciate the importance of listening and catching emotional cues. Alignment comes when staff feel like they are understood and that their concerns are being taken seriously. The SMU report also showed the there a significant number of executives who do not feel that leaders were in touch with challenges when rolling out initiatives. KPMG’s 2018 Global Consumer Executive Top of Mind Survey reveals that 87% of today’s fastest growing companies foster culture and encourage innovation and change. The SMU research reveals that many C-suite leaders have adopted the strategy of “micro-experiments” before making larger-scale investments. Creating an environment of safety and innovation is non-negotiable for an organisation’s survival in the digital age. It requires a level of trust in the leaders to view failure as part of the journey and not something to be penalised. Leaders can create a safe space so that staff feel encouraged to contribute ideas and try new things. Engaging staff most affected by the changes can provide very practical solutions to challenges. It allows the staff to participate and feel valued, and because they possess the operational expertise, they are able to problem-solve and achieve a breakthrough in their work, and for the team. In a climate where uncertainty is prevalent, having a fully engaged team is going to be invaluable to be able to leverage the existing institutional knowledge to get onto the next growth curve. 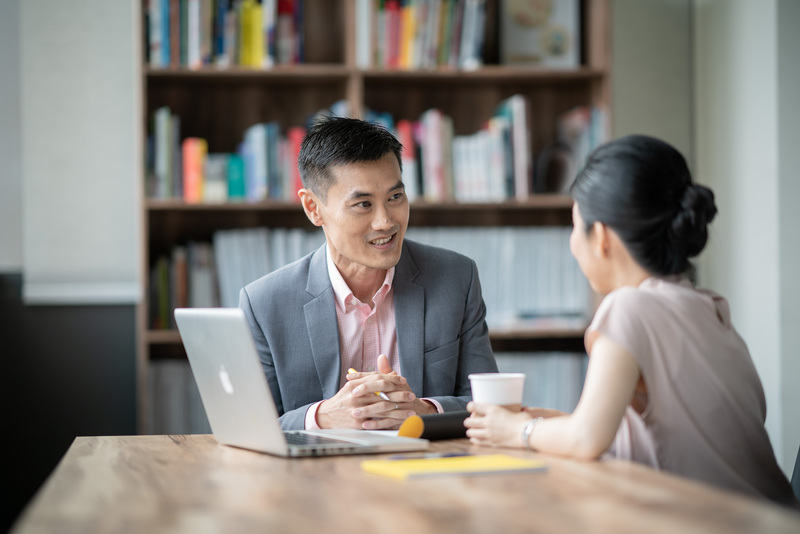 When leaders and managers are able to listen to staff, understand and address the concerns of the people they lead, and communicate effectively, this closes the gap. 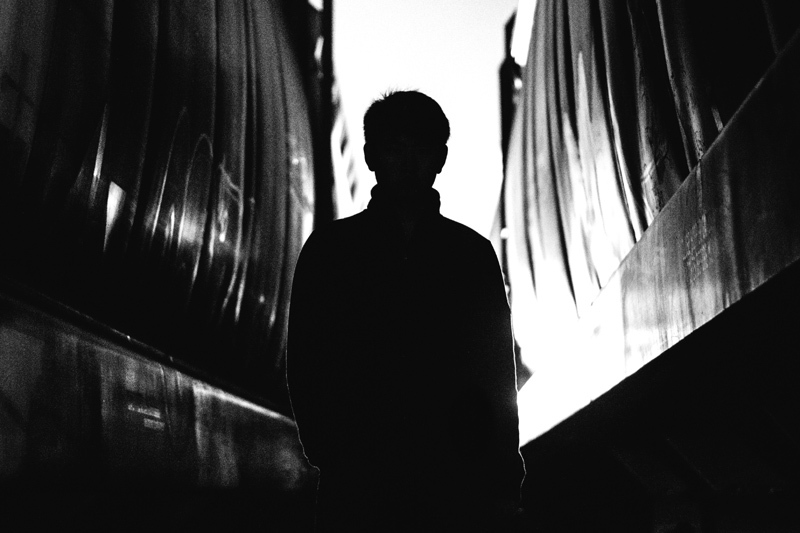 It creates an environment where people feel safe to contribute to the transformation effort. And it sets the foundation for a digital transformation initiative that has the best chance of succeeding. Learn more about ROHEI’s Change Management Approach here.